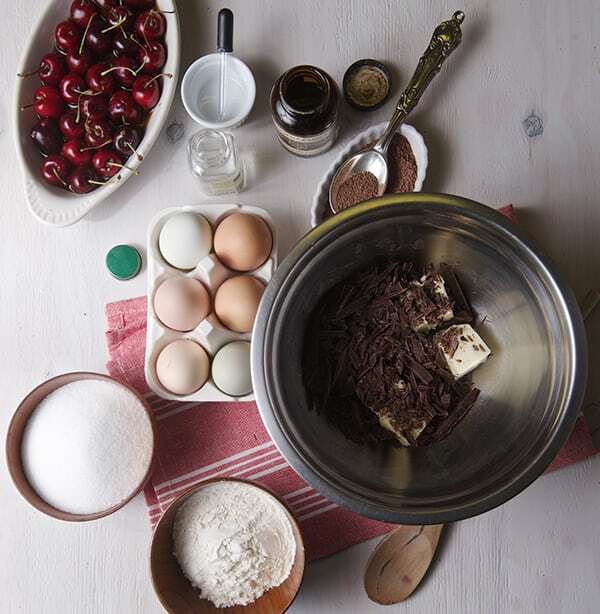 Cherry and Cacao Nibs Brownies ~Yes, more please! One of Ian’s greatest discoveries at my little Sunday Farmers Market, at Muller here in Austin, it’s Kiskadee Chocolates. Ian was wandering around the market and ran into this amazing hot cocoa drink. He got a sample for me and when I drank it! Immediately I was deeply in love with the chocolate elixir drink. So the next weekend I walked to the market and I had the opportunity to meet the owner, Laura Atlas, who happens to be my neighbor as well! That’s what I call luck!. We went for a walk and she told me her story. Laura shows a great passion for her chocolate and you can taste the fantastic chocolate products at the Cedar Park and Mueller Market, In.gredients, Frofoyo…I totally recommend you to meet her at the farmers market, she can tell you all about her journey and you can taste and learn how to make a delicious chocolate drink. As you can tell I really loved the chocolate. I been working on this recipe for about two weeks now. I wanted to create a great a brownie bite showcasing the flavor profile of this unique chocolate baking bar. The results…Kiskadee chocolate is on my top favorites on my chocolate list. 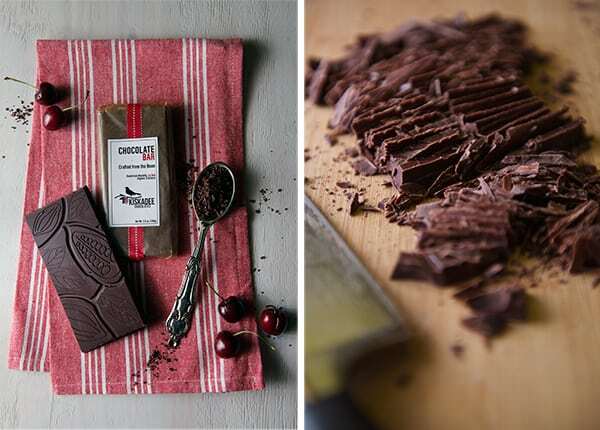 The chocolate profile flavor its remarkable, it’s a dark chocolate that has intensity and great aroma. It finishes clean and feathery light, with a fruity natural sweetness. What to do with this lingot of chocolate gold?… Brownies. I love brownies in small doses (yeah, right). 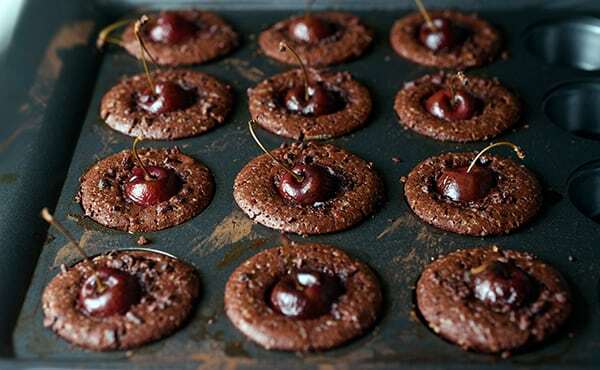 I made these decadent little Cherry and Cacao nibs brownie bites pairing the chocolate with fresh cherries, to bringing out the fruity natural notes on the kiskadee baking chocolate. I added some cocoa nibs for extra crunch and texture contrast. These brownies are right in the middle, not overly fudg-y not too cake-y. 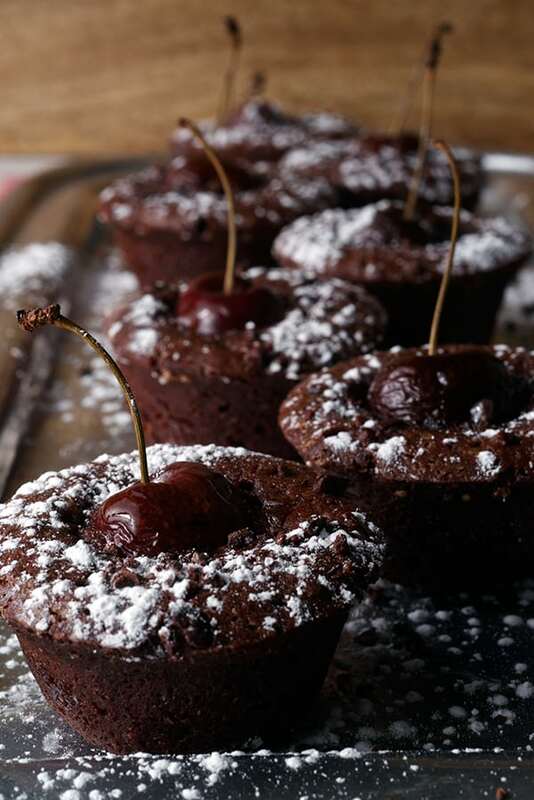 I baked them in a mini-cupcake pan, they bake so beautifully, if you are a brownie edge lover, you are gonna love this mini brownies, they get a nice crust all around, and a soft fudge center. I find they have a great balance and 2 or 3 bites will beyond satisfy your chocolate craving. You are gonna love them. I hope you enjoy them as much as Ian and I did…they are gone now, sharing with friends was great. Enjoy! ½ cup unbleached-all purpose flour, sifted after measuring. 2 pinches of sea salt. 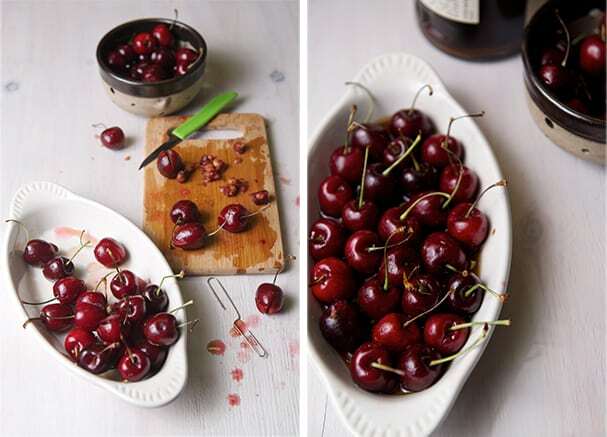 How to Pitt a cherry? 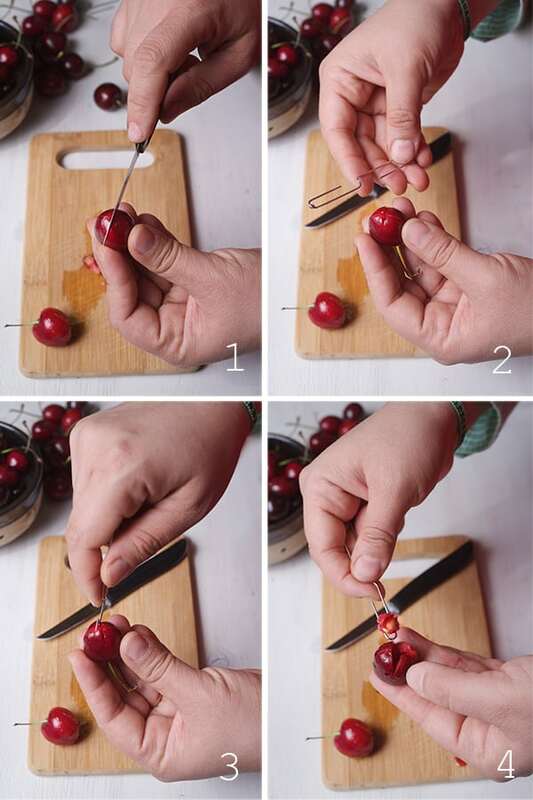 It is extremely easy, you just need a paper clip, yes you read well a large paper clip, unfolded, cut a little cross on the back of the cherry, insert the clip hook, gently twist, and the pit is out!no need of a fancy equipment…unless you own a cherry tree then buy one. 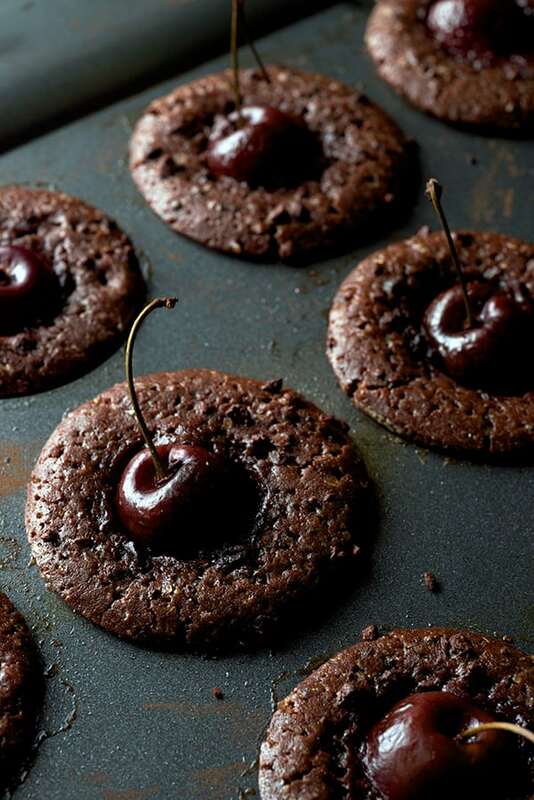 Soak the pitted cherries in a little dark rum or kirsch, while you prepare the brownie batter. In a metal bowl over a double boiler melt butter and chopped baking chocolate. Be carefully, that the metal bowl do not touch the water, to prevent scorching the chocolate. Once the chocolate and butter are almost melted remove from heat and stir until smooth. 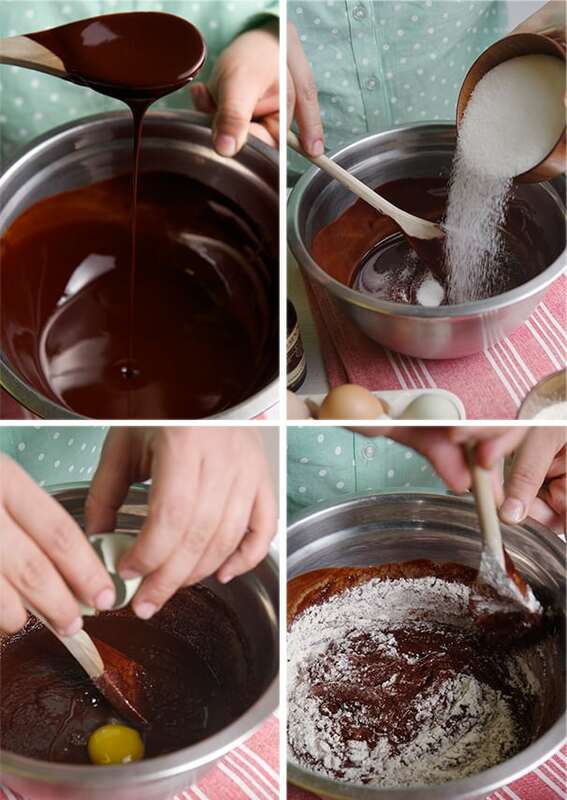 Add both kinds of sugars into the chocolate mixture, vanilla and almond extract. With the help of a spatula mix well. Add eggs one a at a time until well incorporated. At last add the sifted flour and salt in folding movements until well incorporated, do not over mix. Grease pan with soft butter and dust with cocoa powder, to prevent brownies from sticking. 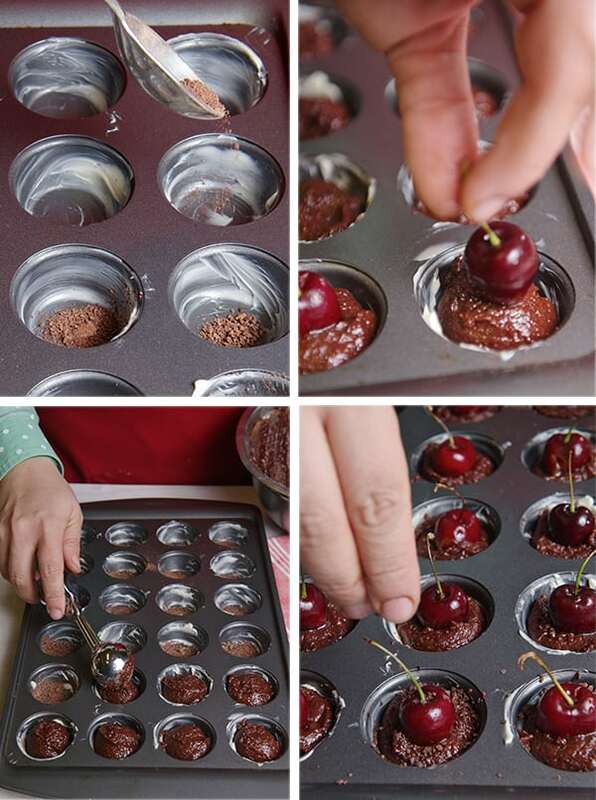 Using a small ice cream scoop, scoop 1 load of the brownie batter into each mold. Top with cherry pressing half way through the batter. 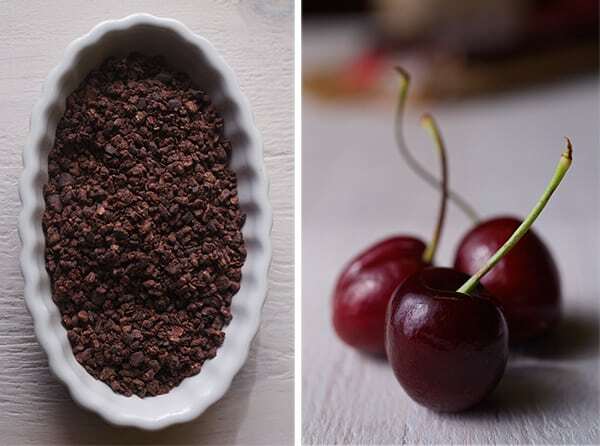 (See photo below) Sprinkle some cacao nibs. Bake for 12-15 minutes or until a toothpick comes out with a few sticky cooked crumbs. Remove from the oven and let them cool for a few minutes in the pan. Once they have cool down slightly, remove carefully from pan with the help of a small spatula, press and twist to release them intact. Cool them in a wire rack. Serve room temperature or slightly warm. Dust with confectioners sugar. 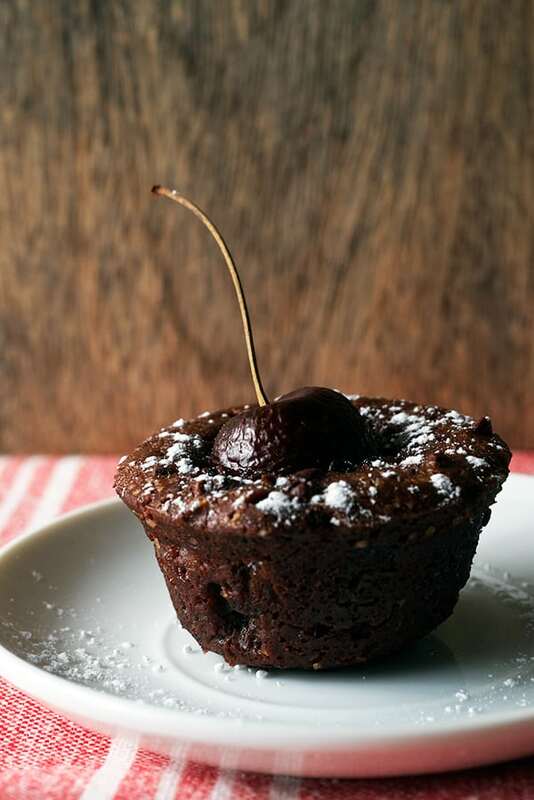 Notes: If you are more into brownie squares, this recipe will make an 8×8 square, use a ceramic or glass dish for best results, lining the bottom with parchment paper and living enough parchment paper hanging on the sides for easy pulling. Bake time: 22-25 minutes check the center, if is not done give it another 2-3 minutes.